Abid is a seasoned sourcing and procurement professional who has a passion for transforming supply chains that enable profitable growth and expansion. He has 20 years of experience delivering exceptional operational results by focusing on organizational design, talent management, operational improvement, procure-to-pay, category management, supplier relationship management, warehousing, materials management, logistics, rights-of-way & land management, and facilities management. He has created value across a wide range of industries including energy, consumer goods, retail, information technology, heavy manufacturing and financial services. Abid was most recently the Vice President of Supply Chain & Facilities Management at Andeavor in San Antonio, TX. He has also held various senior leadership positions in the Supply Chain and Commercial groups at Enterprise Products Partners, one of the largest midstream energy companies in North America. 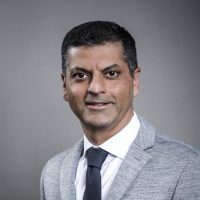 Prior to that role, Abid spent five years with FreeMarkets (acquired by Ariba) working with clients to deliver cost savings through the design and implementation of effective strategic sourcing and procurement best practices. Abid serves on the board of Amaanah Refugee Services and Alliance for Compassion & Tolerance, nonprofit organizations. He is also co-founder of Terra Firma Logistics, an end-to-end logistics technology company that focuses on over-the-road transportation solutions and services. Abid earned his MBA from the University of Pittsburgh and his BA in Economics from the University of Notre Dame.